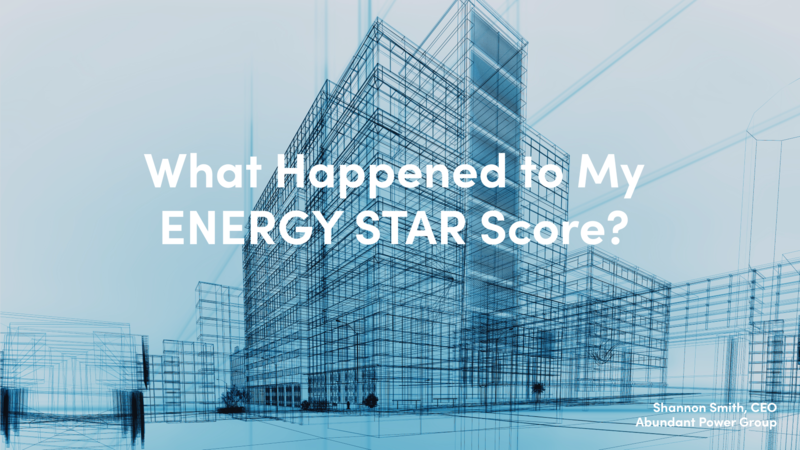 What Happened to My ENERGY STAR Score? The time has come. The U.S. government is updating ENERGY STAR scoring, which will cause most property’s scores to go down. Commercial buildings will see a drop in their ENERGY STAR score when the changes go into effect next Monday, August 26. Why is this happening? ENERGY STAR has been using data from 2003, creating scores which are not relevant to today’s technology. While this may be creating high scores for a variety of properties, it is not reflective of the performance of today’s buildings but rather the performance of buildings as they were 10+ years ago. After a successful building survey in 2012, ENERGY STAR is ready to make a change. What does this mean for you? Depending on the type of property you manage or own it is expected that ENERGY STAR scores will drop anywhere between 1 and 16 points. Office buildings will drop 12 points. This drop will be substantial enough to remove ENERGY STAR certification eligibility from a variety of buildings. At PointGuard, our services will accomplish just that. For instance, we began service on a 150,000 square foot office building with an initial ENERGY STAR score of 35. With a top-notch facility management team acting on our recommended action items, the facility is now proudly scoring an ENERGY STAR score of 76 in less than two years. This is just one of the many buildings in which our service has had a positive effect on energy savings and ENERGY STAR score. So yes, your ENERGY STAR scores will drop after August 26th. The good news is with the help of a building data analytics service you can re-establish your ENERGY STAR score sooner than expected.